I bought this in Ooty market and was told that it is a Nilgiri hills specific vegetable. It is pink on the outside and white inside with two hard black seeds in the upper half of it. It tastes sour, very similar to unripe strawberry. Now, I'd like to know what the name of this vegetable is and whether it can be used in any dishes. Until know, I've been eating it as a snack, just like I would any other bite sized food. 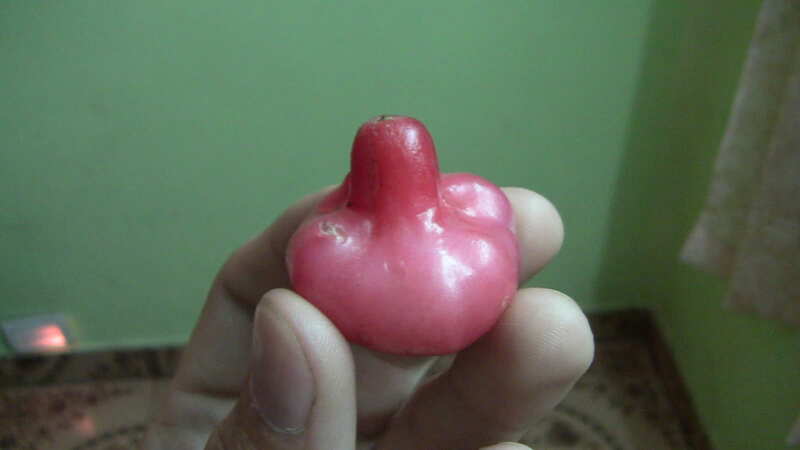 I think it is a fruit called Chambakka. There are a few recipes for chambakka achaar, which means pickled chambakka. But I would try this chambakka jelly recipe. It looks delicious! Not the answer you're looking for? Browse other questions tagged fruit indian-cuisine food-identification or ask your own question. What is the name of this Ukrainian bread?